While most people who visit Michigan know Detroit as the major tourism hub, many forget about Grand Rapids on the west side of the state. This city is a hot spot for entertainment, shopping, art, and music! It also has a great scene for healthy eats and bar destinations. If you’ve never had a chance to adventure downtown and surrounding areas while bar hopping across the most popular spots in Grand Rapids, you’re really missing out. There are a lot of opportunities for enjoyment, even when you’re somebody who tries to stick to a healthy lifestyle each day. There are night clubs, pubs, bars, as well as annual celebrations to consider attending when you’re looking to have some fun in Grand Rapids. Whether you’re just visiting the area or a resident trying to find something to switch up the usual weekend celebrations, there’s bound to be more than one option for you to choose from to fit your interests. A great way to get acquainted with the nightlife scene is to embark on a winery or brewery tour. B.O.B’S Brewery offers informative brewery facility tours Thursday through Saturday that will open your mind without draining your pocketbook. It’s a whole new experience drinking beer once you’ve learned how it’s made! 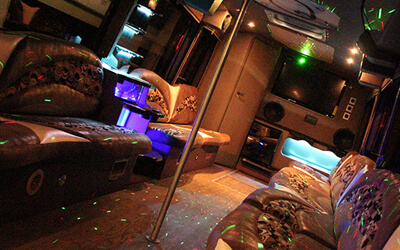 It’s easy to get the group together when you have a limo or party bus along for the ride. Your ride will be spent socializing with friends and taking advantage of features instead of the stressful experience of driving. From construction to parking woes, a night out can often take on a few inconveniences, but these disappear with Bus Service in Grand Rapids. Plus, it’s actually an affordable option when the group splits up the overall cost. 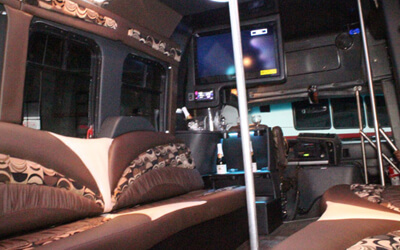 You can’t put a price on fun, and more importantly safety, so be sure to think about reserving this type of transportation for your next night out on the town in Grand Rapids.